TREDYFFRIN TWP., PA - On Saturday, February 2nd at 6:07 p.m., the Berwyn Fire Company was dispatched to the area of N. Valley Forge Rd. and Old State Rd. for a motor vehicle collision. Fire/EMS personnel arrived to find a two-vehicle crash blocking the roadway. Based on the number of injuries, ambulances from both the Radnor Fire Company and Paoli Fire Company were called to assist. A total of 5 patients were transported by ambulance to Paoli Hospital. Firefighters remained on the scene to clear debris from the roadway and to provide lighting as the vehicles were removed by tow trucks from Tom Door's Exxon. All units were clear of the scene and the road reopened by 7:15 p.m. 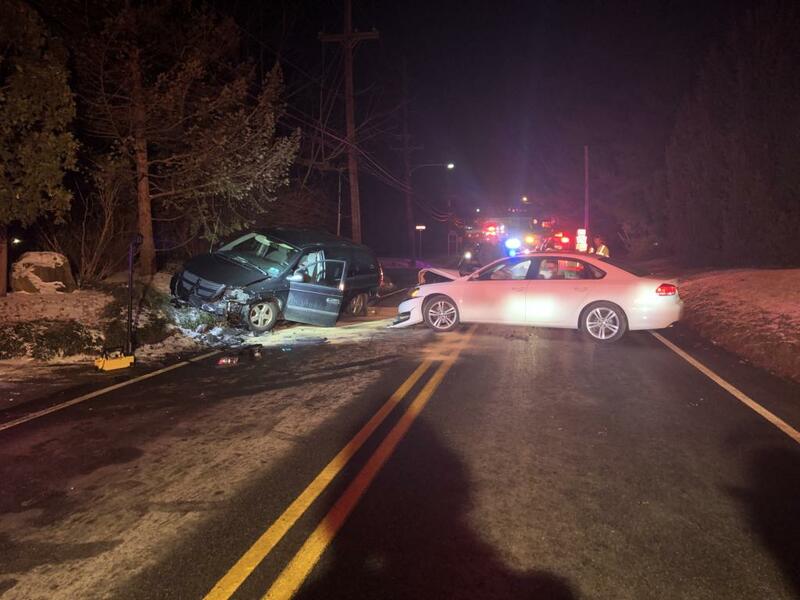 The Treyffrin Township Police Department provided traffic control and investigated the cause of the collision. N. Valley Forge Rd. was closed between Swedesford Rd. and Old Forge Crossing during the incident.